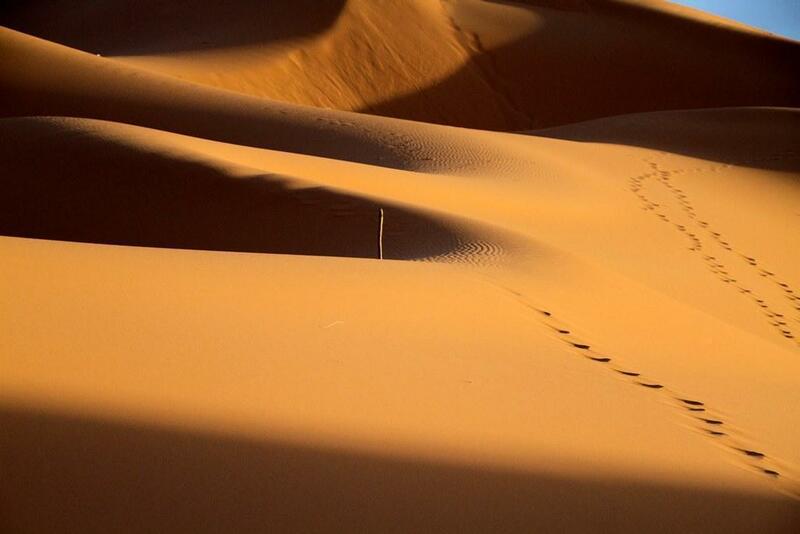 A private tour from Marrakech to Fez (or Fez to Marrakech) via Sahara desert over 3 or 4 days. Visiting Morocco and short on time ? 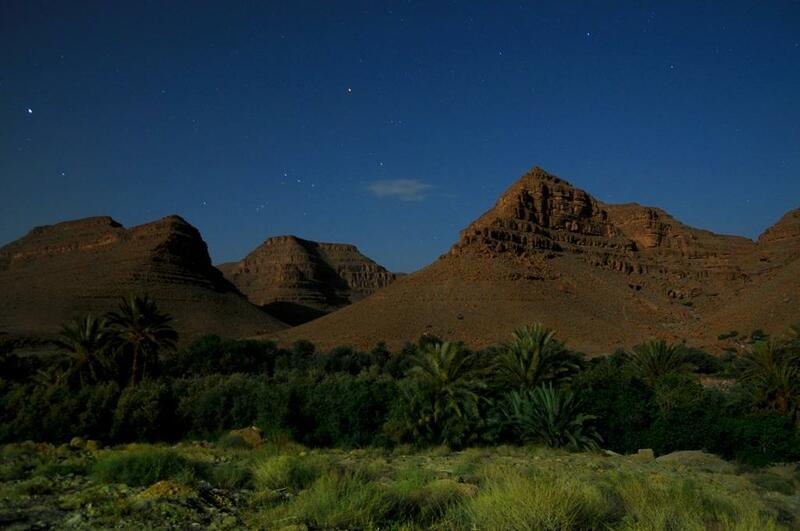 Then spend one night in the Sahara desert and uncover the two most essential imperial cities in Morocco. 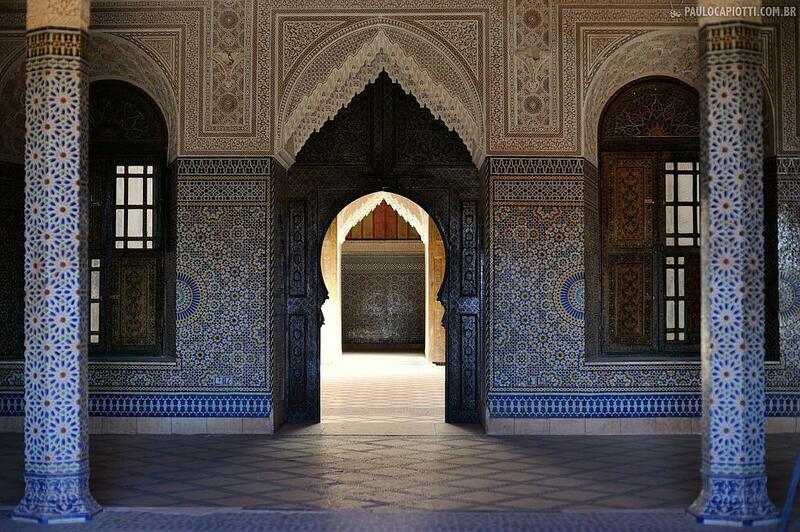 This is also ideal for those of you who fly into Marrakech and fly out of Fez ( or vice versa). The journey can be done over 2 nights and 3 days but we recommend taking at least 3 nights and 4 days so you can enjoy all there is to do and see along the way. DAY 1: Marrakech - Tizi n Test - Telouet - Ait Benhaddou ( 4 hour drive). Leaving Marrakech behind, beautiful scenery and small villages built in tiers succeed among oak trees, walnut groves and oleander bushes. 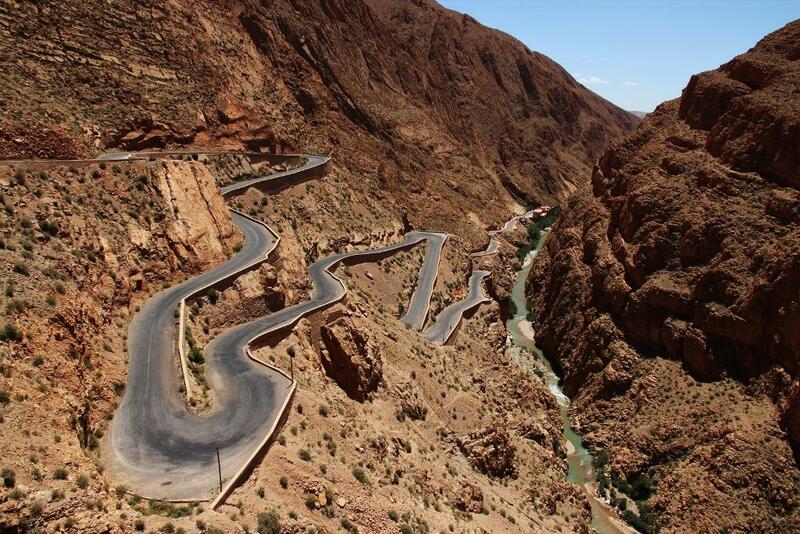 Our bespoke Morocco tour follows the tight curves before culminating at the spectacular Tizi N Tichka pass, at 2260 meters high. Once over the pass a totally different landscape is unveiled: the lunar landscape of the Anti Atlas and the vast plateau beyond it. Just after the pass, we leave the main road and find ourselves on the ancient route caravans used to bring the much sought- after goods at the court of the Sultan. What used to be Pasha Glaoui's main residence at Telouet unveils, standing as a testimony to the grandeur and wealth of this tenacious man, that rose to importance at the turn of the century and overshadowed the sultan himself for the best part of the first half of it until Morocco's independence in 1956. Although he used to spend most of his time in Marrakech, where he was said to have had tea with W. Churchill and started the first bus company in Morocco, this palace was his main residence at the beginning of last century. A visit is recommended if only to marvel at the extravagance of this modern-day dynasty and the contrast between the derelict exterior and the opulent interior . Leaving Telouet behind, our trip crosses spaghetti western settings before the route joins the canyon. The river is shinning on the bottom of it and for the next hour or so, villages succeed each other in the green patches bordering the river each dominated by their derelict Kasbah. 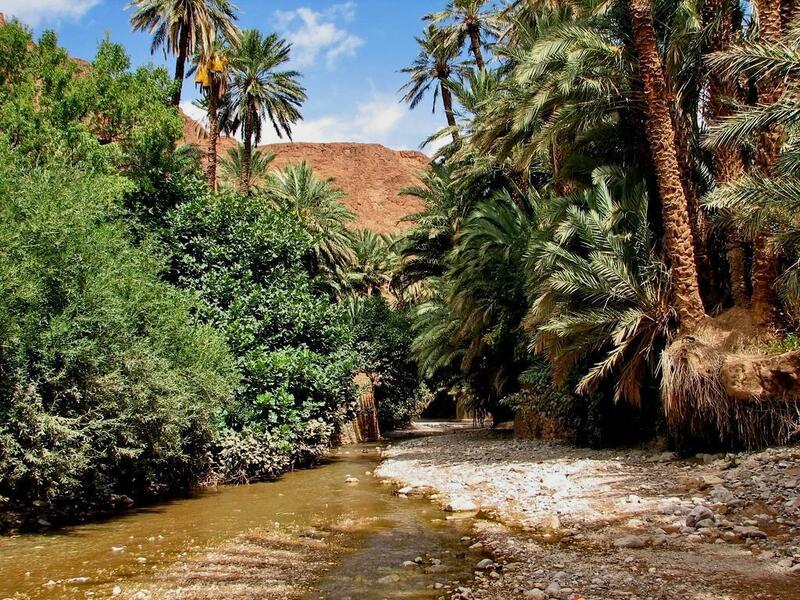 The tour follows the green serpent of palm trees and on the other side of the valley, carved into the wall , caverns are still being used for keeping the stock or grains over the winter by the semi nomadic populations of the area. Just before Ait Benhaddou, several local Kasbahs have been turned into boutique hotels and that is where we will spend the first night. 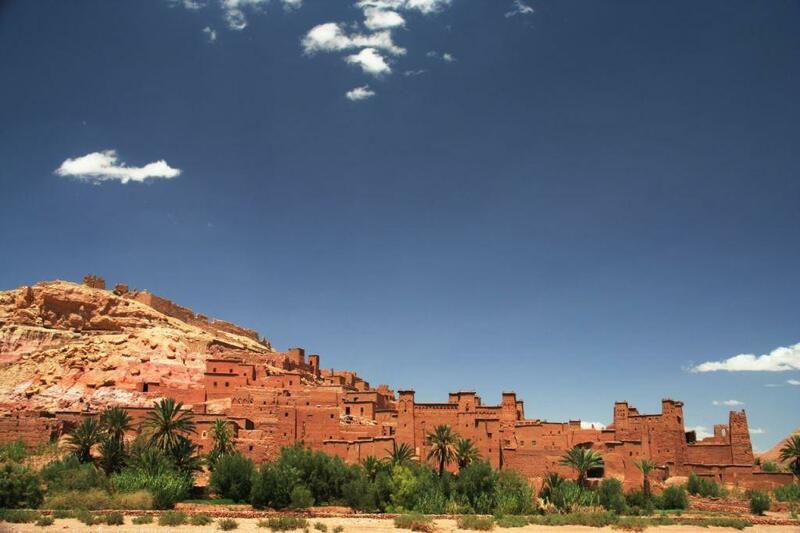 The UNESCO world site of Ait Benhaddou can be visited in the evening or early next day. In the meantime, depending on the time available and your mood, you are free to enjoy the pool ( heated in the winter), the terrace with its incredible views or have a walk in the gardens by the river among almond and olive trees. 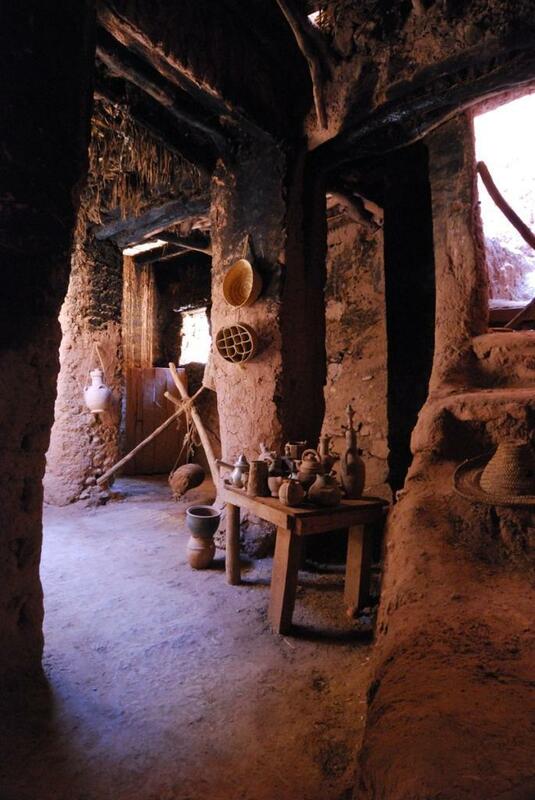 For those more intrepid, a visit to the Berber granary and the troglodyte caves by camel or foot and/or cooking bread with the locals in the nearby village stove can be arranged. The first thing that strikes you when approaching Ait Bennhadou is the granary standing on the top of the mountain. It is by far the best preserved and most impressive Kasbah standing as one of the few UNESCO world sites of Morocco. You might find it familiar if you watched ‘Gladiator’, ‘Alexander’ or ‘Lawrence of Arabia’, having served as background for all these pictures. Crossing the bridge over the river, you will immerse yourself in the alleys bordered by a few craft shops. Imagine a biblical village built on the side of a mountain, all its adobe houses communicating with each other, creating an intricate adobe honey comb, where the sunlight hardly filters through. You can reach the peak through various of its narrow stone paved alleys, a hide- and- seek paradise. From the granary on the top, you have the view on the whole village underneath and behind, the river with its palm groves and gardens making its way through barren mountains. DAY 2: Ait Benhaddou - Ouarzazate - Skoura - Dades ( 3 hour drive). 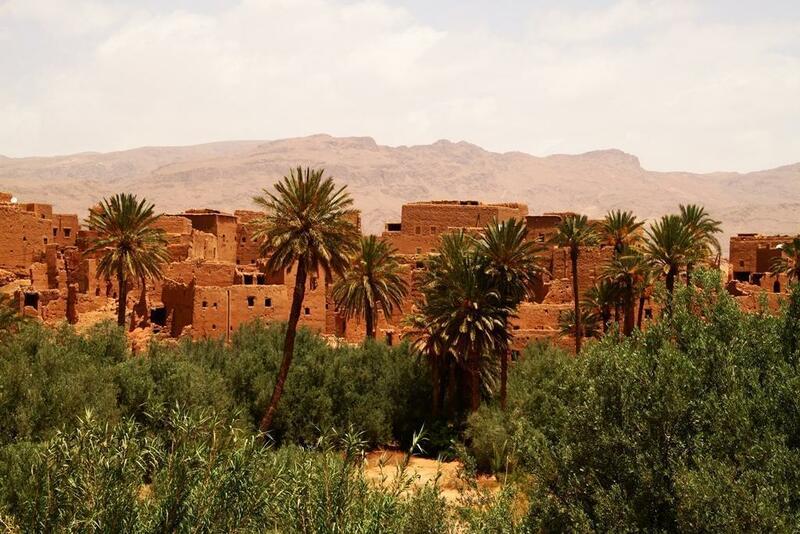 Half an hour drive from Ait Benhaddou, our tailor made Morocco tour reaches Ouarzazate, built in the 1920’s by the French troops as a garrison to control the area. Kasbah Taourirt, one of the residences of the famous Glaoui dynasty and previously one of the largest Kasbahs of the south can be visited. For those of you who are interested, a visit to the impressive Atlas Film Studios can be arranged, where lately, episodes of Game of Thrones series have been shot. Leaving Ouarzazate our 4x4 Morocco tour reaches the palm grove of Skoura, a huge fertile patch of green stretching ahead into the horizon. 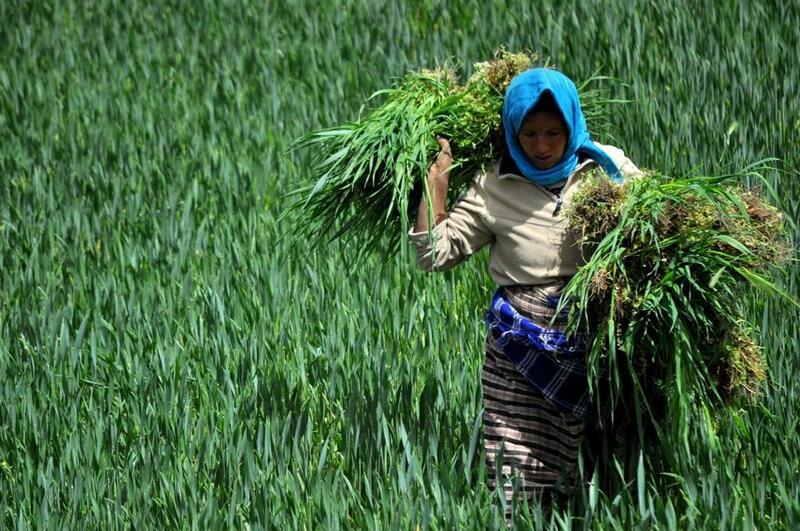 Here, the locals perpetuate the same way of life as the generations before them have done for centuries. A walk in the palm grove with a local guide is highly recommended where you can see how the locals organise the ingenious distribution of water through kettaras and seguias and the local craftsmen shape their colourful potteries. A 17th century Kasbah can also be visited where the locals will be delighted to show you how olives are grinded to produce the precious oil. 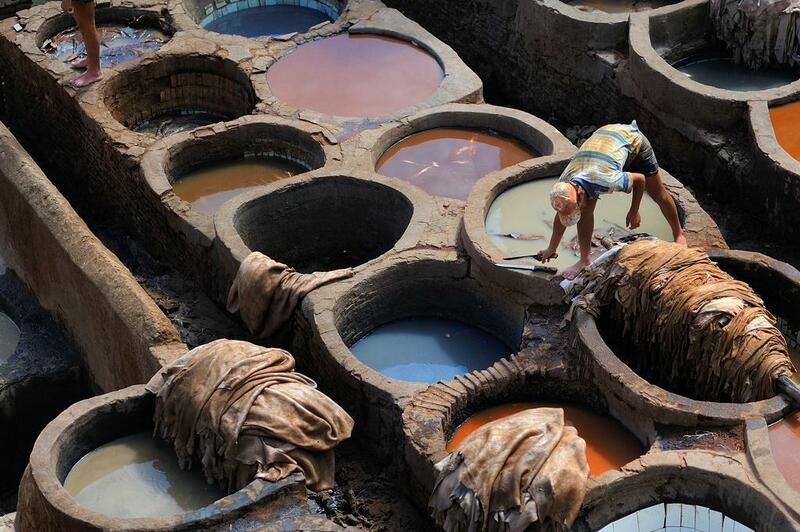 Fire, water, earth and dye are what make most of things here. On Friday afternoon, when the prayer is over, the caid comes out from the mosque and spreads a carpet on the grass. The villagers then succeed themselves and present their queries. Most of them are resolved on site. Time is suspended here indeed. Boulmane de Dades, famous for its bird- rich Vallee des Oiseaux (Bird Valley) and the starting point to exploring the spectacular Dades valley, a lush carpet set against the massive rocks. We will stop for dinner and accommodation over night in a charming Kasbah in the area. DAY 3: Dades Gorge - Tinerir - Todra Gorges - Rissani - Merzouga - Erg Chebbi ( 4 hour drive). After breakfast our first stop is Tinerhir (Tinghir), with its extensive palm grove, the Ksours built into the rocky hills above it and its mysterious decaying Jewish ksour. No more than a mountain village, set at 1300 meters altitude, it has been for generations a stop for nomadic Berber tribes travelling from the mountains north of it towards the desert during the winter months. A rather inconspicuos hidden gem is the 19th century adobe mosque nestled within the old crumbling ksour, a heaven for photography enthusiasts. The most spectacular ( and touristy) gorges of Morocco, Todra Gorges , lie only 15 km from Tinerhir, presenting an arresting spectacle with its crystal clear river emerging from it, its huge walls changing colour to magical effect as the day unfolds. Its 300 meters ( 1000 feet ) high walls are home to more than 150 bolted routes and at any time of day you can catch a glimpse of someone rock climbing his way up the gigantic walls. If you want to get away from the tourist crowds and / or try some trekking in Morocco , Dades Gorge is your alternative. 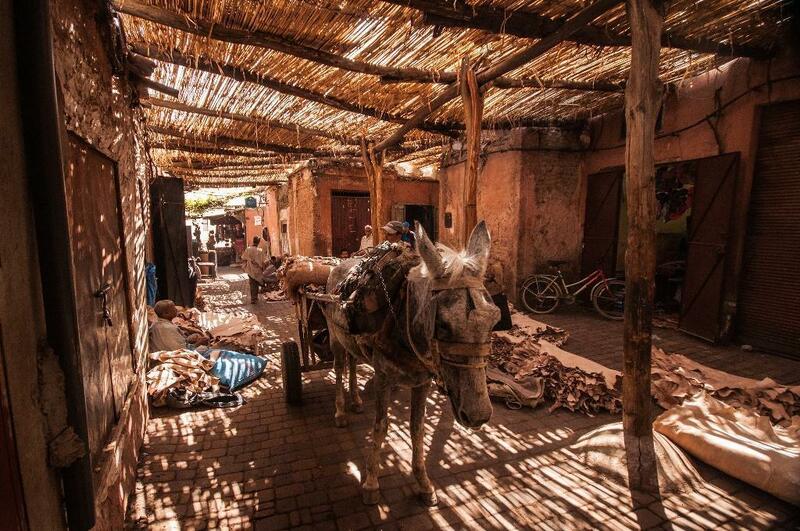 Before reaching Merzouga, our boutique Morocco tour passes Erfoud and Rissani. In Erfoud we can stop for a visit at Musee des Oasis. Rissani used to serve as last stop on the great caravan routes south and gold and slave auctions were taking place here as late as 1800’s. It is also from here that the Alaoui dynasty, ruling Morocco nowadays launched its bid for power centuries ago. If you have time, a visit to well preserved medieval ksour ( fortified village) is recommended as well as visiting the local souk. DAY 4: Merzouga - Errachidia - Midelt - Ifrane - Fez ( 7 hour drive). Try to wake up early enough to see the sunrise, there is nothing quite like it... After breakfast, our Marrakech to Fez tour reaches Errachidia, not much more than a former French Foreign Legion outpost which most likely had to do something with an area notorious for raids upon caravans by the Nomad Berber tribes. At Midelt, the greater peaks of Atlas Mountains appear through the haze, culminating at 3700 meters high with Djebel Ayachi. The drama of the site is the most compelling reason to stop over, for the town itself offers little more than an apple festival in October and some superb Middle Atlas carpets from the local tribes. Once our trip reaches Azrou ('rock' in local Berber language), the landscape is completely different - lush with the surrounding lakes and cedar forrests which also shelter several troupes of Barbary apes that can easily be spotted around the area of the legendary 800 years old Gouraud cedar. This is equally interesting for bird lovers as the forrests also shelter sanddpipers, redshanks, avocets, warblers and other exotic bird species. Further on Ifrane, a colonial alpine resort built by the French in 1929. With its alpine chalets, trimmed gardens, leafy park surrounding a mountain fed lake , you could almost be in … Switzerland. Past Ifrane, we start our descent on Fez and in broadlight you may catch a glimpse of the world's oldest still standing medieval old town in the distance. Our 4 day tour of Morocco concludes with reaching Fez in late afternoon/ early evening.